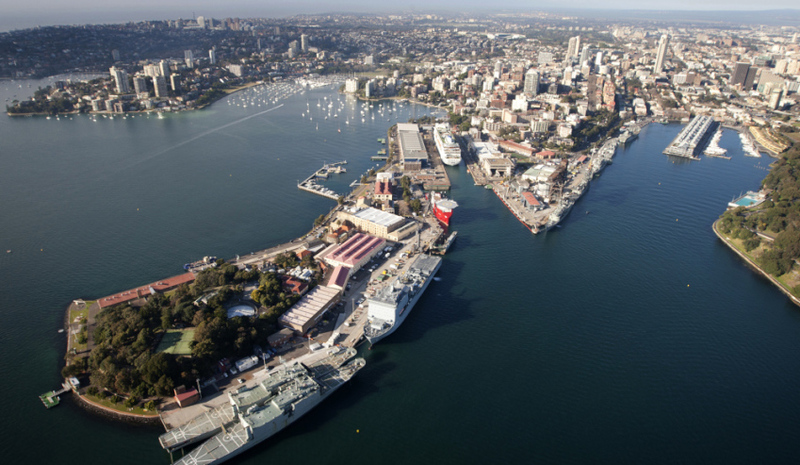 Southerly aerial of Garden Island, Fleet Base East, Sydney, NSW. Image via Commonwealth of Australia, Department of Defence. Three new proposals worth $782.1 million from the Department of Defence will go before the Parliamentary standing committee on public works. The projects include two based in Darwin and one in Sydney. The most expensive project is the infrastructure recovery project for Garden Island (East) in Sydney, valued at $286.5 million. $272.6 million is also slated to be spent on facilities to support naval operations in Darwin. The redevelopment of Larrakeyah Barracks in Darwin is also on the cards for $223 million. It is anticipated that the committee will conduct public and in-camera hearings for the inquiries in May or June 2018. Submissions will be accepted until 27 April 2018. The latest proposals come after the committee recently approved the proposed Engine Test Cell 1 Upgrade at RAAF Base Amberley, the Joint Health Command Garrison Health Facilities Upgrade Project, the Joint Project 157 Replacement Aviation Refuelling Vehicles Infrastructure Project and the SEA1654 Phase 3 Maritime Operational Support Capability Facilities Project. Under the Engine Test Cell 1 Upgrade at RAAF Base Amberley, Defence will establish a fit-for-purpose engine test facility that satisfies both the ongoing Super Hornet and Growler, and the new F-35 engine testing needs. The engine test facility at RAAF Base Amberley is Australia’s largest fast jet engine test facility and this project will extend the existing functionality to enable efficient kitting and testing of the Super Hornet, Growler and F-35 engines. The JP 157 infrastructure project will also deliver new and upgraded facilities to support the replacement and future aviation refuelling fleets. The Department of Defence has proposed to undertake a range of works across 15 sites ranging from bunding works, fuel treatment system works, shelters, hardstand and access works, fencing and contamination works as required.